Despite news that lawyer-lobbyist and former House Speaker Dean Cannon is ascending to the presidency of GrayRobinson, he doesn’t plan to make any big immediate changes at the powerhouse law firm. Cannon will continue to be based in the firm’s Tallahassee office, although his current practice involves frequent travel to all the firm’s offices, something he plans to continue. “I intend to be just as politically involved going forward as I am today, but with the broader emphasis on setting the strategic direction and leadership of the firm. Charlie used to say that if you build your community, you build your law firm. I believe that still holds true today. Cannon is taking over the leadership of the firm later this year from Mayanne Downs, who is currently Orlando city attorney and past Florida Bar president (2010-11). She became the firm’s first woman president and only the second managing shareholder in the last 20 years, succeeding Biff Marshall. The 50-year-old Cannon, a lawyer since 1993, has been GrayRobinson’s Executive Vice President and its Statewide Chairman of Government Affairs ever since merging his Capitol Insight lobbying firm with GrayRobinson. He was first with GrayRobinson from 1995 until 2007. Even though the firm is rooted in Orlando, it’s “now truly a statewide firm and even more than that,” he said, adding that the firm recently opened an office in Washington DC. 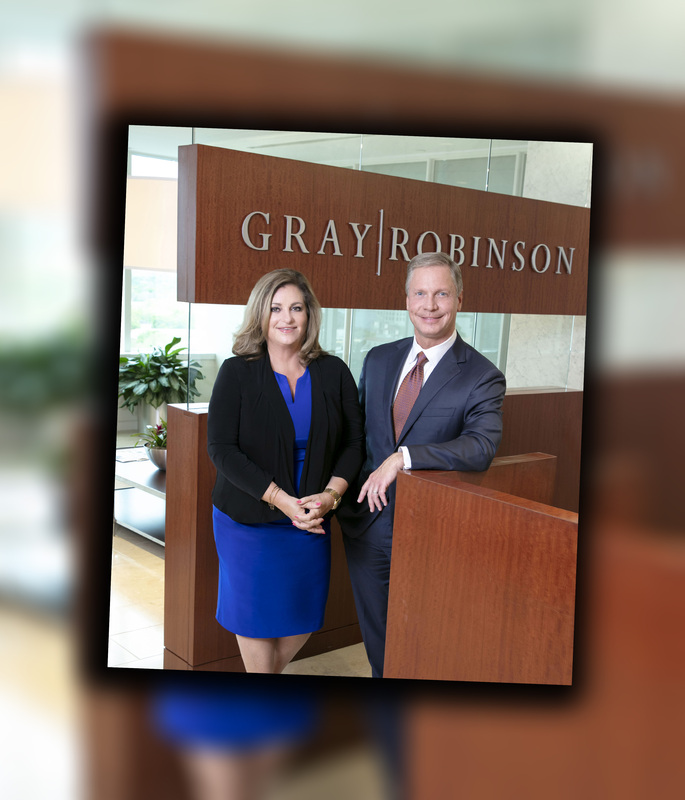 “One of the great things about GrayRobinson as a firm is that we have a diverse group of lawyers and professionals from a multitude of practice areas, from all across the political spectrum, and throughout all geographic regions of the state and now the nation’s capital, which enables us to offer our clients a complete palette of legal and government affairs representation,” said Cannon, a Republican who served in the House 2004-12, the last two years as Speaker. Cannon intends “to increase our footprint within Florida, both expanding to some other communities where we don’t currently have an office, and adding additional practice areas to our existing offices, as well as in our new Washington, D.C. office. “Generally, it’s important to me to develop a collective vision based on input from all our shareholders,” he said. The firm now has 15 offices across the state, and the new location in the nation’s capital. “I’ve been enjoying talking with all our shareholders from around the state in the last few weeks and intend to continue that through the summer until I begin my term on Sept. 1,” he said.